The 2011 Atlanta Jewish Film Festival is presenting a special series of 25th anniversary screenings for AN AMERICAN TAIL. And the best part, ASIFA-Atlanta members get 50% off! 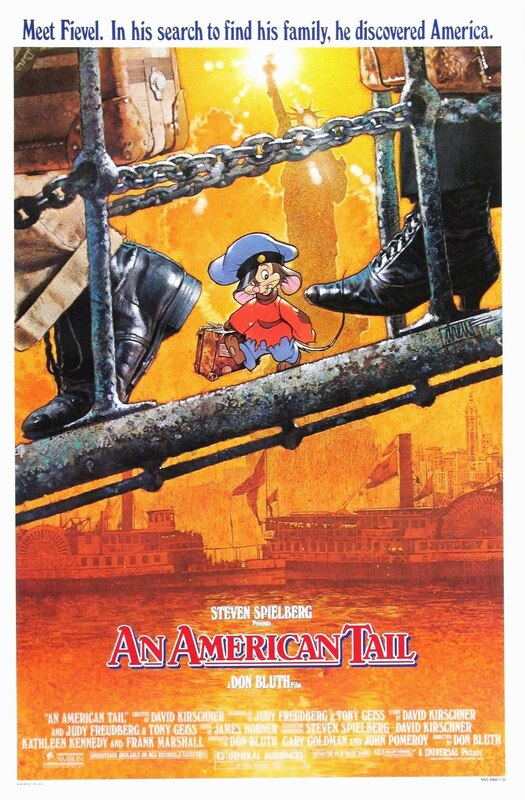 Produced by Steven Spielberg and directed by renowned animator Don Bluth, AN AMERICAN TAIL is the immigrant adventure of Russian-Jewish mice that flee persecution in pursuit of the American dream. Forced from their village by Czarist cats, the Mousekewitz family escapes by boat to the New World on the promise of feline-free streets paved with cheese. Hopes are shattered when youngest son Fievel (voiced by Phillip Glasser) is lost at sea and must search the heartless streets of New York City hoping to reunite with his family amidst a criminal clan of cats. Richly drawn animation distinguishes this Jewish parable about 19th Century immigrants. AN AMERICAN TAIL features the voice talents of Christopher Plummer, Dom DeLuise and Madeline Kahn and the Grammy-winning pop single “Somewhere Out There.” The Atlanta Jewish Film Festival is proud to present a special 25th anniversary screening of this heartwarming family classic.